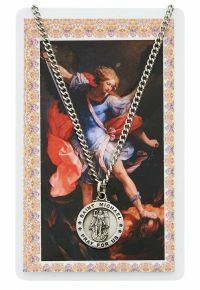 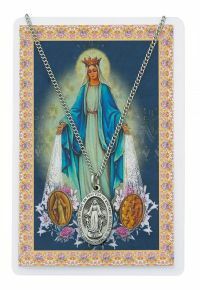 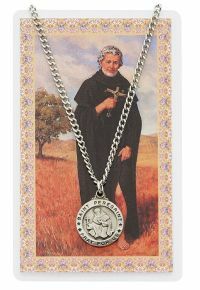 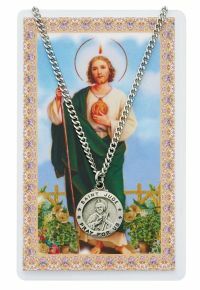 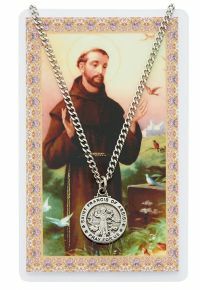 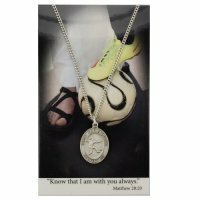 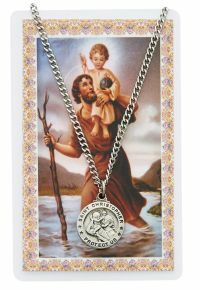 These are pewter patron saint medals that are packaged with a laminated prayer card. 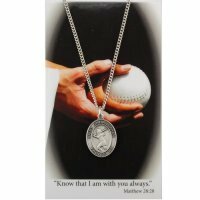 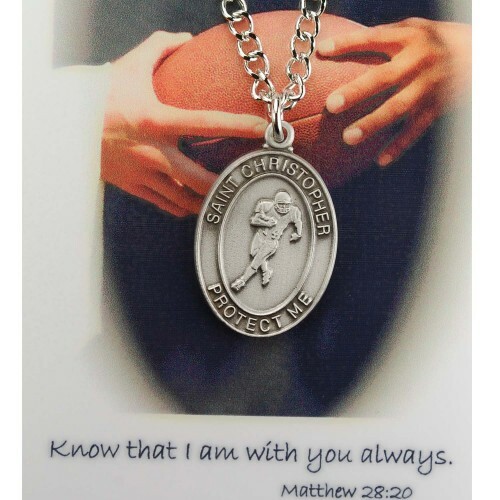 More saints and sports subjects are available for special order, please call for more information. 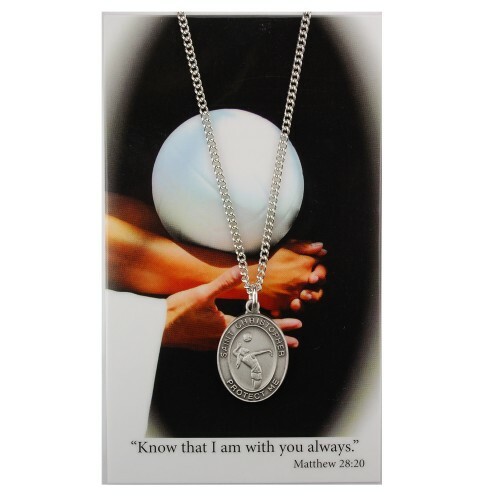 Miraculous Medal on an 18" Stainless Chain. 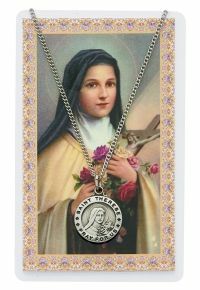 St. Therese on an 18" Stainless Chain. 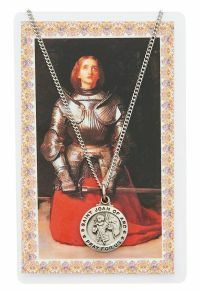 St. Joan of Arc on an 18" Stainless Chain. 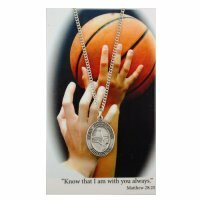 St. Christopher Girl's Basketball Medal on an 18" Stainless Chain. 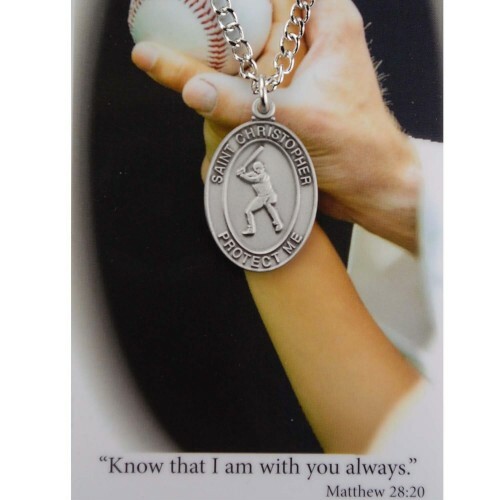 St. Christopher Girl's Softball Medal on an 18" Stainless Chain. 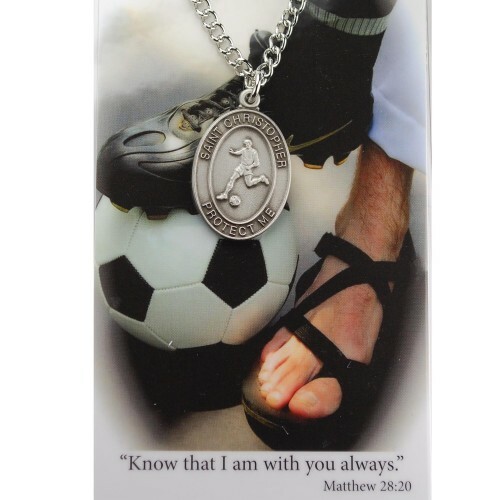 St. Christopher Girl's Soccer Medal on an 18" Stainless Chain. 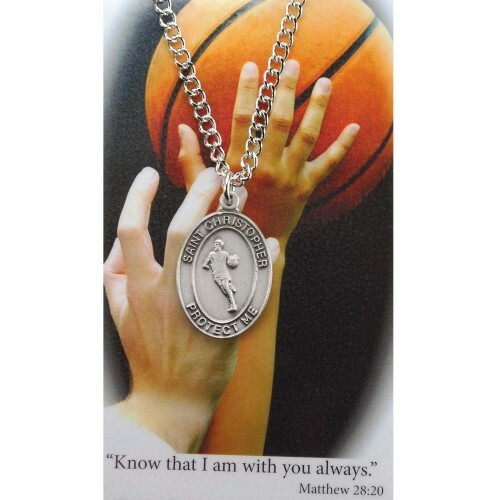 St. Christopher Girl's Volleyball Medal on an 18" Stainless Chain.